BraMässor is launching a new furniture fair in Gothenburg! After discussion with Mibo, the furniture and interior companies industry organization, we are presenting the Möbelmässan Gothenburg, which is being held for the first time on 20-22 September 2018. The focus is home furniture, lighting and interiors and the very latest news and trends in the industry will be presented at the fair. BraMässor has been commissioned to organize the Swedish Optical Fair 2017! The Optics Fair is an annual recurring trade fair for the Swedish optics industry. "We are very proud that SOLF has chosen us as its organizer of the Optical Fair and we are really looking forward working with the association and continuing to develop the fair," says Bosse Magnusson, Bravo Vice President. BraMässor is launching the Swedish Bicycle Show, the new meeting place for all bicycle fans! Together with the Swedish bicycle industry industry association, Cykelbranschen, The Swedish Bicycle Show is being launched for the first time on 3-5 March 2017 in Gothenburg. Three full-grown days with everything within cycling! From the hottest carbon bikes with electric gear and the market's toughest mountain bikes to electric bikes and standard bikes for both children and adults. In addition to all bikes, there is also a wide range of bicycle clothes, bicycle accessories and a host of other bicycle accessories. BraMässor is launching Lounge Event, the new annual meeting for the hotel and conference industry. Lounge Event is the Nordic region's only trade fair and meeting place specially focused on the hotel and conference industry, with 100% focus on interior trends, technical solutions and all the products and services you need to develop and run a hotel or conference facility. Everything but food and drink, which existing event already covers, is presented at the fair. BraMässor continues to strengthen its portfolio of events and is now launching Blob Toy & Baby trade fair, organized with partners Lek- & Babybranschen trade association and Lek & Baby Revyn trade magazine. BraMässor continues to develop steadily and is now expanding with more exhibitions and events. As part of this we are now reinforcing the company. 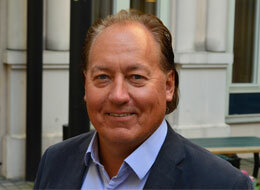 As of February 3, Bo Magnusson will be Vice President of BraMässor. Most recently, he comes from Kistamässan where he over three years was head of the exhibition and congress center and exhibition business. Before that, Bo worked for six years as CEO and Nordic Manager for MCI Scandinavia and during more than 20 years he worked at the Stockholm International Fairs, as, development- and congress director. BraMässor continues to develop steadily and is now expanding with more exhibitions and events. As part of this we are now reinforcing the company with two new people. 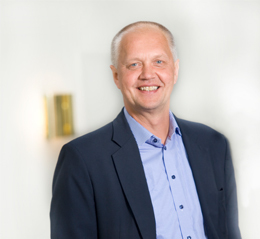 Björn Lindforss assumed as Business Director with responsibility for development and project management. Most recently Björn worked as project manager at Stockholmsmässan. Björn has 19 year of experience in organizing exhibitions and conferences and through the years he has worked e.g. with Tekniksa mässan, MAX Manufacturing & Automation Expo, SPCI, Skydd, Sectech and Skolforum. 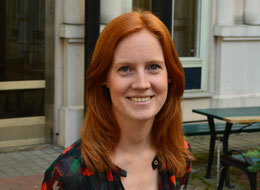 Furthermore, Karin Lindblom has started as Event Manager. Most recently Karin worked as a project manager at Municipality of Södertälje. Karin has previous experience in the exhibiton industry ant the internationalization of small and medium enterprises as she previously worked at Stockholmsmässans agent in Italy. BraMässor launch toghether with the trade organization Svensk Elektronik - with the section Embedded Technology and the trade magazine Elektronik i Norden, ECS Syd on March 10-11, 2015 at the exhibition center Malmömässan in Malmö. ECS Syd will, as the original, consist of a two-day conference that focus on the most current topics in the embedded technology field and an exhibition where suppliers can display their products and services for an dedicated public. The event will be smaller than ECS in Stockholm, but of course maintain an equally high quality in terms of the program and exhibitors. 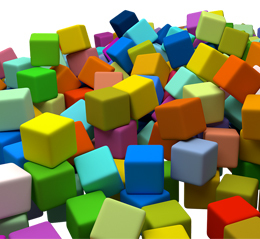 We aim to attract foremost the important targeted visitors in the Malmö-Copenhagen area. BraMässor has recently been contracted to organize the EUROMETAL Steel Net Forum, the leading annual conference for the steel industry in Europe. - We trust BraMässor to do an excellent job with the Steel Net Forum, says Lennart Uhlmann, Chairman of the Steel and Metal Wholesalers Association, who co-organizes the conference with the European association EUROMETAL and BraMässor Sverige AB. – We were looking for an experienced local co-operation partner to take care of all marketing, administration and logistics activities and this is what we found in BraMässor, continues Lennart Uhlmann. The conference will be held on May 22-23 at Grand Hotel in Stockholm and will attract up to 200 delegates. A welcome dinner in the archipelago will also be part of the event. Topics at this year’s Steel Net Forum include competitiveness and profitability in steel distribution, diversification opportunities for steel distribution with non-ferrous metals and what the future looks like for proximity distribution. The entire program will be published shortly. After a successful Embedded Conference Scandinavia 2013, held at Kistamässan in Stockholm, BraMässor are now gearing up for this year’s conference and exhibition. - With satisfied exhibitors, 50% more visitors and a really good-looking event we are now looking forward to a great event in 2014, says Lena Norder, CEO of the trade association Svensk Elektronik. 80 exhibitors were present and a total of 1,523 visits were recorded at the eighth edition of Embedded Conference Scandinavia, the two-day conference that covers all the hot topics in the world of embedded. The move to Kista, the “Silicon Valley of Scandinavia”, proved to be positive for the event, and the aisles were buzzing with lots of professionals doing business. The first class conference program was very popular and some of the seminars were completely full. The sold out Embedded Dinner Party was once again a fun evening with good food and entertainment. BraMässor organized the exhibition at the well-renowned medical event “Medicinska Riksstämman”, the Annual General Meeting for Physicians in co-operation with the Swedish Society of Medicine. The event was held on December 5-6 at the Stockholm Waterfront Congress Centre. The Annual General Meeting for Physicians is celebrated its 70th anniversary in 2013 and apart from renewing the focus of the programme in order to best meet the needs of the healthcare sector, the event moved from Stockholmsmässan to new premises in central Stockholm. The Annual General Meeting for Physicians consists of a high quality conference and exhibition and the event in December attracted over 2,000 medical professionals. - I am very pleased with the co-operation, says Filippa Nyberg, CEO of the Swedish Society of Medicine (SLS), organizers of the Annual General Meeting of Physicians. – With their experience and expertise they arranged a quality exhibition providing a great source of information for our delegates as well as excellent networking opportunities for everyone involved in the event. A new exhibition company was launched in Sweden on October 1. Behind the new company are exhibition organizer Nice Events Scandinavia and Branschkansliet - the Swedish Center of Trade Assocations. The objectives are to become an independent exhibition organizer which cater to the needs of the different industries and trade associations, to make up an alternative to the exhibition hall owners who are also organizers and to reach a significant share of the Swedish exhibition market.